Placebo are an alternative rock band, formed in London, England in 1994 by singer-guitarist Brian Molko and guitarist-bassist Stefan Olsdal. The band were soon joined by drummer Robert Schultzberg, who was replaced in 1996 by Steve Hewitt. Hewitt parted ways with the band in 2007 due to personal and musical differences and was replaced the following year by Steve Forrest, who left the band in 2015 to pursue his own musical career. PLACEBO T-Shirts which we offer at Plain-t-shirts.co.uk forms part of our movie, games and music official merchandise range. 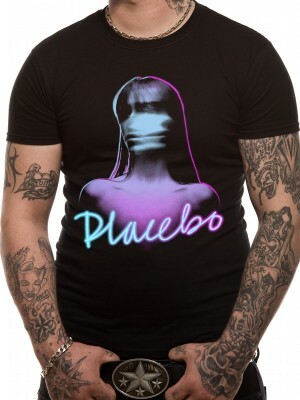 PLACEBO range we offer fast delivery all over UK/EU PLACEBO - GHOST (UNISEX) which we offer which you can have as shown in th..